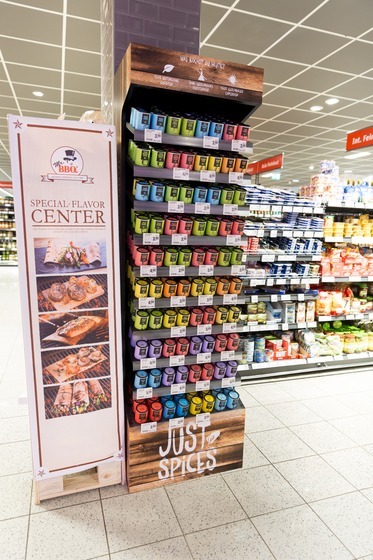 Just Spices is a young spice producer based in Düsseldorf. 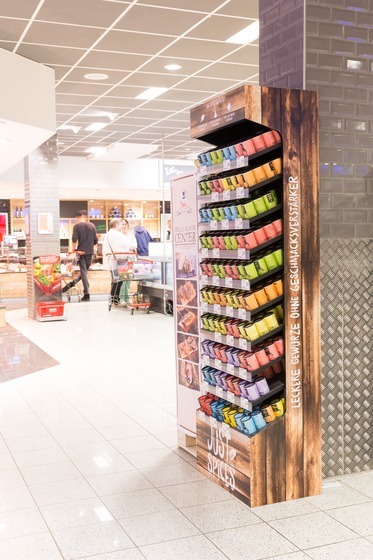 They have set out to offer a new approach to spices based on emotional design and personalized content. 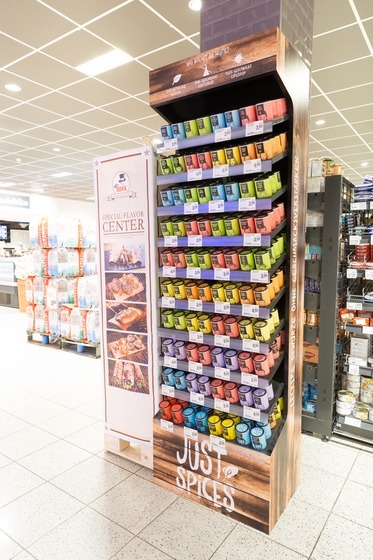 Our task was to develop a spice shelf which functioned in a modern super market setting while presenting the brand as a health-centered lifestyle brand and cooking as an expression of passion, creativity and personality. 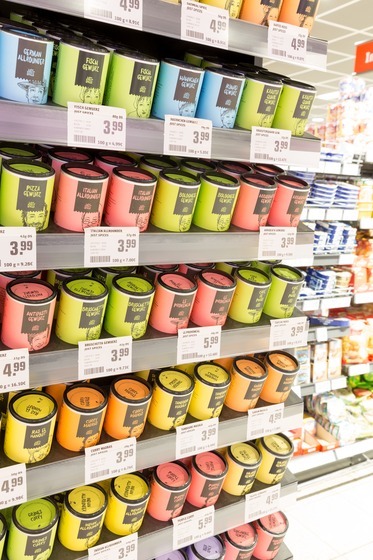 For this we developed a signature silhouette whose black interior surfaces make the colorful spice packaging pop and offer them maximum visibility. The printed wood look conveys a natural, authentic and crafted feel.